To meet the mission of the Garden Tower Project, we have envisioned a grass-roots program which can effectively identify, attract, and connect energetic community leaders with key outreach target groups and supporters.This program will place Garden Towers into the hands of those that can most effectively use them as a tool for education, as well as for food production in communities where the Garden Tower Project can make a difference.GrowingCircles will turn personal initiative into food-growing action; it can be geographically boundless and scalable. 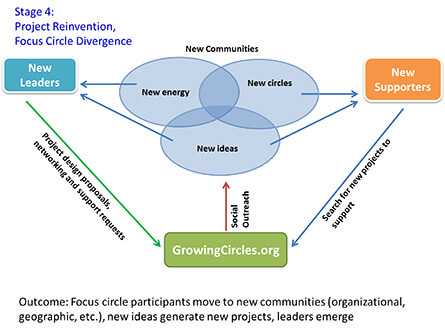 GrowingCircles.org will soon become a space for networking and collaboration accessible to anyone with an interest in the Garden Tower Project’s mission. The Project’s core values revolve around the expansion of food self-sufficiency efforts, in particular the home-grown, organic, non-GMO, low-input, ecologically sustainable cultivation of vegetables and herbs in conditions otherwise not conducive to raising food.Rainbow Chard in a Garden Tower GrowingCircles will become an online community where supporters become leaders, ideas are transformed into projects, and community circles are involved, educated, and transformed. 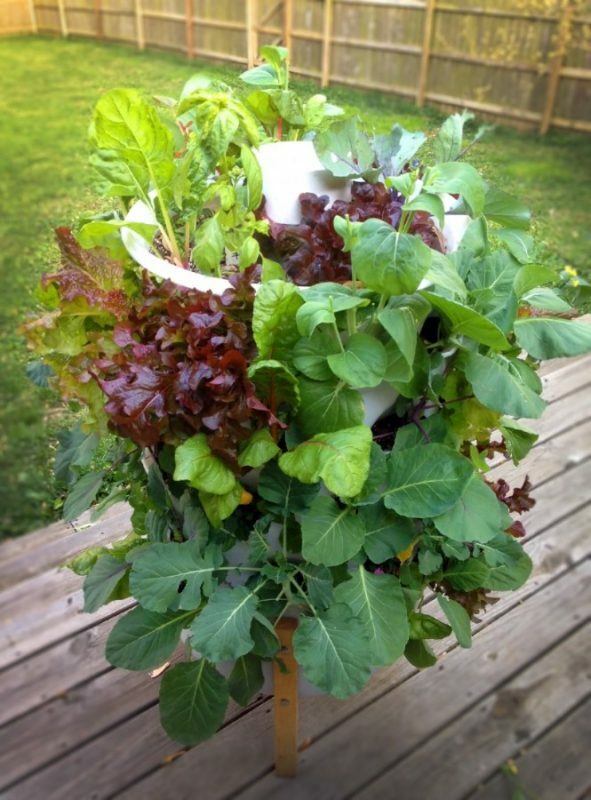 The Garden Tower Project will produce literature, videos, and hand-on activities to make GrowingCircles projects relevant to a variety of communities. 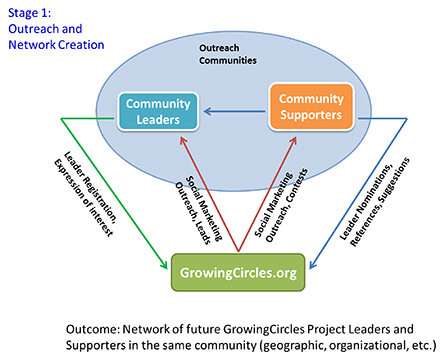 We envision GrowingCircles projects forming in schools, community gardens, youth organizations, senior living centers, correctional facilities, non-profits, aid organizations, the armed forces, and more. 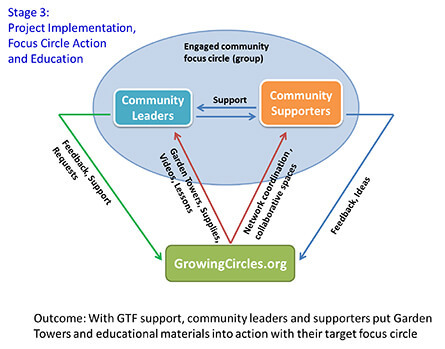 It is our intention that GrowingCircles will become a lead program of the future Garden Tower Foundation.